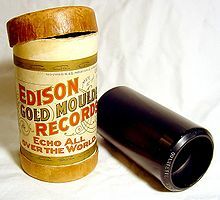 Time was that recorded music needed to be stored on some type of circular object (with rectangular objects briefly, and in hindsight laughably, substituted at a few points). If a listener wanted to hear their favorite band, they could insert one of these circles into a machine specifically designed to spark music from out of the circle. Over the years the circles changed in appearance, size, material, sound quality and how much music they stored. As the circles grew more sophisticated, so did their packaging: they might include the names of the musicians providing music for the circle, insight into the music beyond what its promoters had to say or some image that listeners would forever associate with that circle and its music. The principle always remained the same: a physical object that made music possible. To keep hearing recorded music, a listener had to purchase more circles. Entire stores were devoted to selling circles, with aisles of them organized according to labels that weren’t perfect but still gave a general sense of where to look for a particular artist. The circles usually cost money but most listeners didn’t seem to mind; the right circle could provide joy, intellectual stimulation, inspiration, reminiscence or something else that made any price seem like a steal. Many circle-buyers had a favorite store, a place where they found the circles they wanted or discovered new circles, sometimes a circle that changed their life. It might be some essential building block of a collection (for example The Hot Fives or The Well-Tempered Clavier), something recommended by friends (such as the Luis Russell band or Teresa Berganza singing Rossini) or something completely new to them (maybe Fats Waller playing the organ, perhaps Handel’s violin sonatas). Circle shops combined commerce, personal choice, education, hope, and the thrill of the hunt, with every flip of a cardboard cover or click of plastic cases bridging whole aesthetic universes. J&R Music World was my favorite source for circles. Its sheer variety for even most esoteric musical tastes and its constantly growing store of music awaiting discovery will never be surpassed. Yet if pressed to explain why J&R really stood out, it would have to be for the train ride home following a shopping spree. The distance between lower Manhattan and southeast Brooklyn isn’t substantial in terms of geography, but the subway warps time in unusual ways. Waiting to switch from the R to the Q at DeKalb Avenue alone could seem like a Chaucerian journey. Yet the anticipation of getting home to hear those circles, packed tightly inside one of J&R’s signature light blue bags, made the wait blissfully unbearable. After moving out of New York City, trips to J&R became more sporadic but my appreciation for the experience grew. Aside from nostalgia, going to J&R was a chance to bump into something new rather than simply ordering what I already knew I wanted. Rather than reading a list of new releases cherry-picked by some editor at a magazine, I discovered them on my own, thumbing through them on the rack, browsing covers and often hearing them over the store’s speakers. And of course there was still that ride back home, which changed locations over the years and grew further from J&R, but which always seemed more rewarding after another good haul. 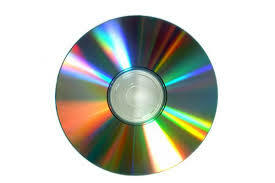 Recorded music slowly began to need circles less and less, and my favorite circle outlet began to change. On my first trip back after starting college, I was surprised that the jazz section was no longer surrounded by car horns and chatter coming from the street on the first floor, but was moved up to the second floor. Yet the change allowed me to hear the new releases and employee selections over the store speakers that much better, as well as the staff’s answers to my questions and their suggestions based on my inquires. Regardless of what floor housed the circles, there was still ample ground to cover. 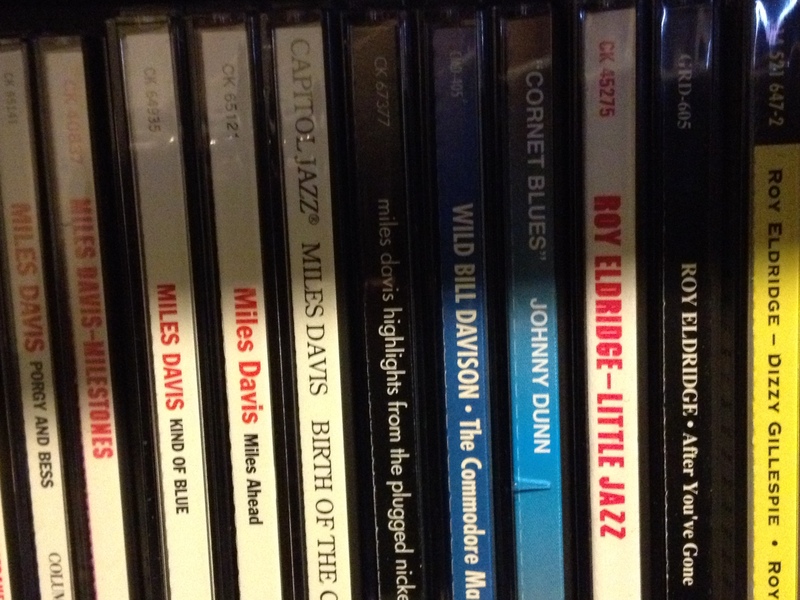 Poring through the jazz section alone could easily take a few hours. Over the years the few hours needed to cover the stacks started to diminish. The classical and opera rooms in the back became two parts of the same section, awkwardly squeezed next to other sections (Vivaldi’s vicinity to the karaoke section may not have inspired the same degree of outrage for all consumers). I also began to notice fewer and fewer circles in the overstock cabinets underneath. On my last trip to J&R, I learned that their entire row of stores (including their electronics, appliance, computer, photography and other divisions) have now been condensed into one building. A sign outside the former spot of the music department directed me to the new omnibus location, where music now occupies two floors. The space is much smaller but things don’t seem very tight. Based purely upon the thumb and pluck method of stock analysis and an overwhelming sense of “is that it?” it seemed like there were fewer circles than ever. I haven’t researched J&R’s sales or plans for the future, and no one sends them more well-wishes than I do, but if the writing isn’t on the wall, it’s only because the download has to finish. Progress has liberated music from its physical trappings. It has also ensured that future generations will never feel artistic possibilities gliding on their fingertips, or learn music history from a deluge of album covers while a former drug connection for Miles Davis and a retired Metropolitan Opera coach discuss their favorite albums across the aisle. In lieu of circles, music is now this weightless, formless, costless thing, as easy to find and forget as the air we breathe. One person missing his circles might be sad (in several senses of the word), but an entire generation never enjoying those circles seems unfortunate. Oh, yes, indeed. Even listeners who will never buy or listen to a Johnny Dunn CD should have the experience of an actual record store — used or new — where conversations and arguments flare up unpredictably and beautifully. Where else (as I recall) could I have been yelled at by a fellow customer — a stranger to me — because my reaction to the late Bud Powell recording being played on the store’s stereo system was not adequately reverential? And FINDING TREASURES in the bins. That, thankfully, has not faded. One may even find hot jazz lps while walking through Brooklyn at stoop sales. Ou sont les circles d’antan? They’re still there, but one has to search. I can see your point. 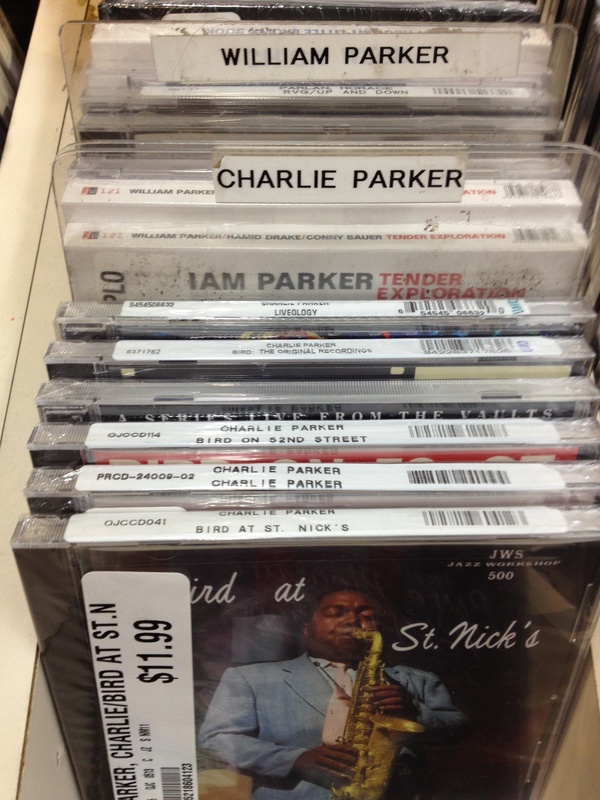 A walk through what is left of Best Buy’s music section is a sad experience but I think there are still some options. I like to poke around Amazon.com and follow the links and customer recommendations to see where they lead me. Sometimes I find an old friend in a re- release or a new discovery. It’s not the same as a record store but it can be similar. Great points from Donald and from Michael, thanks to both of you for reading and for commenting. Things are not so bleak, since there are still venues (with and without roofs) to bump into “new to you” music and meet other listeners. And even a curmudgeon like me has found new and interesting things on Amazon. Yet there is something to be said for a venue organized specifically around selling music in the physical form, and more importantly for having music appear in a physical form. 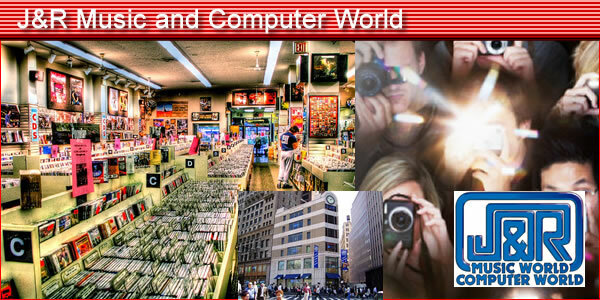 Both ideas are quickly moving from being novelties to memories. My Dad and I spent hundreds of hours in record stores and the coutout bins of discount department stores over the course of 35 years. I met two of my closest friends in (1) a record store in the Seventies and (2) a junk store in the Eighties. Those are exactly the types of interactions I’m talking about. I doubt most fathers and sons are bonding in front of the computer screen the same way, and there’s no way to meet new people while shopping online. There are used record stores in Beantown-an In Your Ear a couple blocks from me-where such exchanges are not unknown…I greatly bemoan the demise of packaging, both as artistic artifact and as repository of contextural information. Stereo Jack’s and Cheapo Records in Cambridge are also rewarding experiences. Their storefronts alone are worth a visit. I very much enjoyed reading this, I appreciate your unique perspective on circles and record stores. .
Glad you liked it, Judy. Thanks so much for reading! Just came across this post: a beauty. In a way, the record store browsing experience mimics the hands-on approach needed to play an LP. Taking my purchases to the counter in one of my favourite shops today I chatted briefly and amicably to the chap behind the counter, discussing the live Soft Machine recording that accompanies a recent re-release of ‘Third’. Try getting THAT from iTunes!